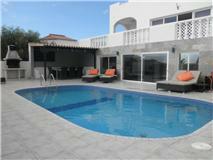 Beautiful refurbished spacious 5 Bedroom 4 bathroom villa with Private Heated pool. 2 Lounges 1 with pool table and surround sound home cinema . 2 Kitchens. Spa/jacuzzi room. Internet. Stunning sea views. Outside eating area. Sleeps 10. The villa is situated on two levels. Level 1 consists of master bedroom, 2 twin bedrooms with en suites, Kitchen, lounge, dining area plus a bathroom and separate WC. You enter the villa via large hallway with an unusual vaulted ceiling and confortable corner sofa. The independant marble top kitchen includes a dishwasher, oven/hob, American style fridge/freezer, microwave, toaster, sandwich maker, iron with board etc. The comfortable lounge has 2 x 3 seater comfortable leather sofas , 42 inch widescreen LCD TV with BBC1/BBC2/ITV/channel 4 & 5 plus other movie channels. There is also a DVD, hi fi, video player and Hi Fi. The Dining area consists of table and chairs for 6 people. The lounge and dining area has large patio doors leading to a terrace with outdoor sofas that provides stunning sea and mountain views. The large double bedroom has a double bed, En suite with shower cubicle, large fitted wardrobes, dressing area, ceiling fan. The two twin bedrooms have stylish furnishings and en suite shower room with walk in showers. There is also a cloakroom on this level. The lower floor consists of air conditioning, a huge 2nd lounge with 32 inch LCD TV with British channels, 3 and a 2 seater leather sofas, plus a very stylish Coner suite. This room has a quality 2 metre screen with Home cinema surround sound system. Also in this beautiful room there is a full size pool table and a second fitted kitchen There are large patio doors that lead to the pool terrace. On this level you find the remainder of the bedrooms. Bedroom 4 has a king size bed and the 5th bedroom has twin beds. Both bedrooms are huge and have 5 metre long fitted mirrored wardrobes. The bathroom on this level consists of a bath with shower attachment. Plus there unique spa room with jacuzzi (jacuzzi is set on a timer and is hot between times 5pm and 8pm). There are two safes fitted in the villa. 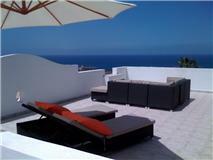 This villa is very tastefully furnished well above the average the holiday home. There are 2 safes installed in the villa. 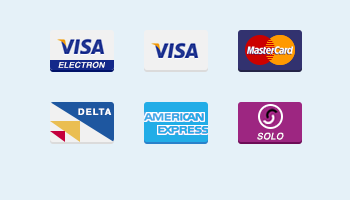 We also offer free internet with this villa via a USB dongle, please request this when making your reservation. This villa offers private parking in its own garage. This Villa is situated in a quiet residential road and only a 10 minute walk to the main area of hotels, bars, banks, restaurants, pharmacy, doctors, supermarkets etc. There is a small friendly french bakers nearby that we highly recommend for all your fresh bread and cakes. 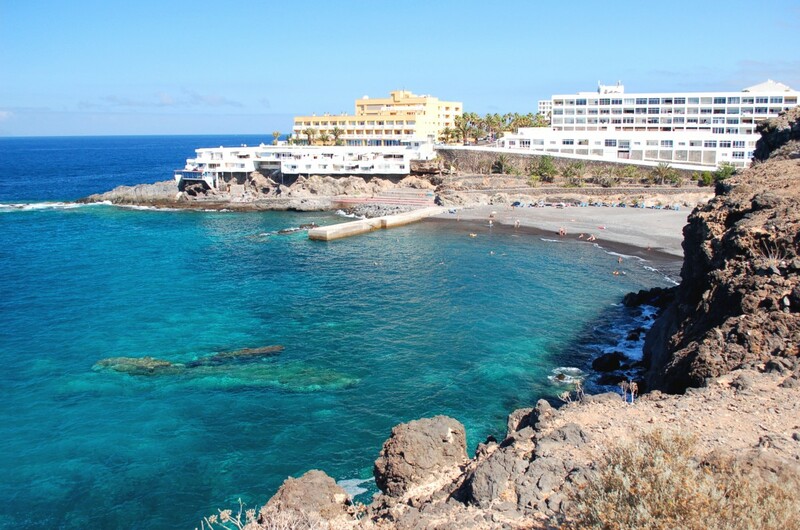 The resort is a 10 minute drive from the busy Las Americas and Los Cristianos.